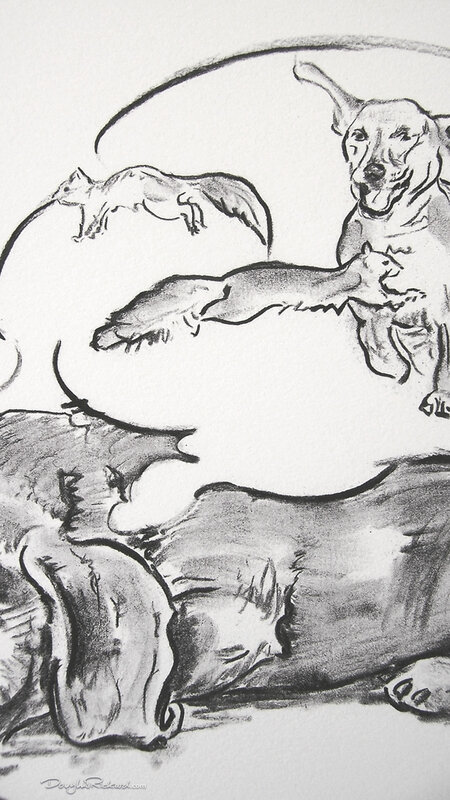 Maybe you have this art of a dozing doxie already. 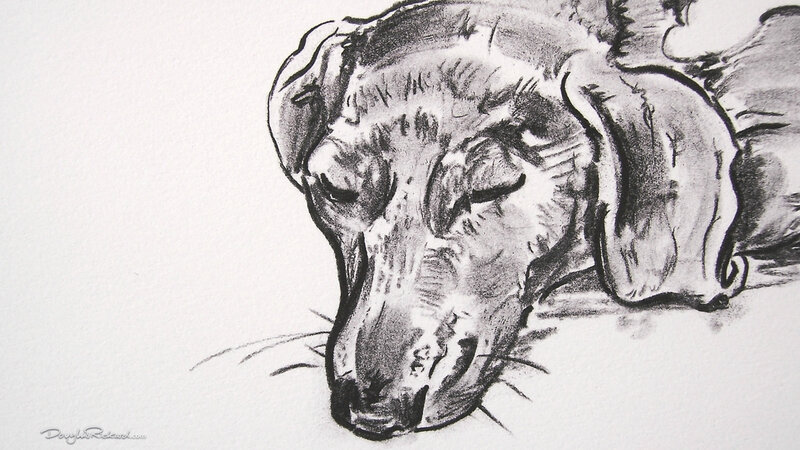 “Sleeping Dog – The Dachshund” was after all, your most popular of all my dog drawings last year. 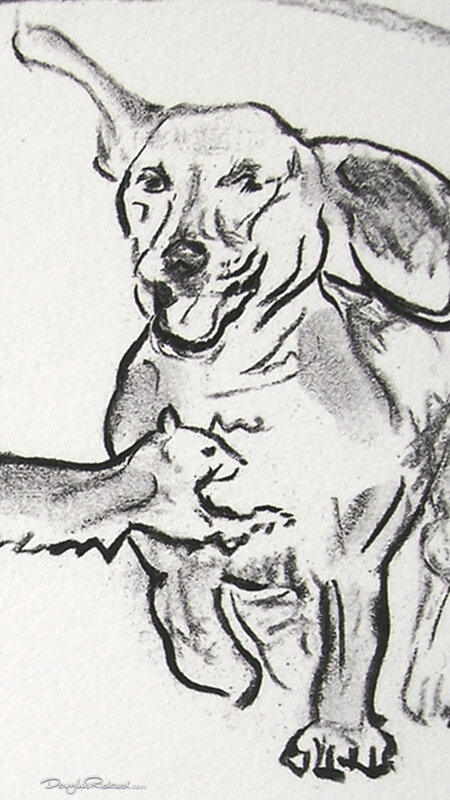 So why not go ahead and join the other doxie owners and admirers who are displaying this really popular drawing in their home. You don’t even have to own a dachshund to be able to enjoy it. If you own my art of the sleeping French Bulldog as well, what a comfortable atmosphere both of them could start to produce. 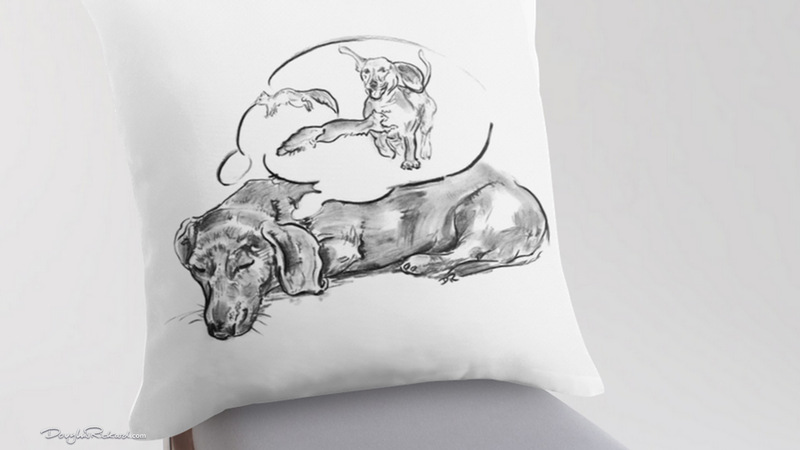 Did you know this dachshund drawing is available as a doxie throw pillow as well (along with other dachshund products), have you checked that out yet? 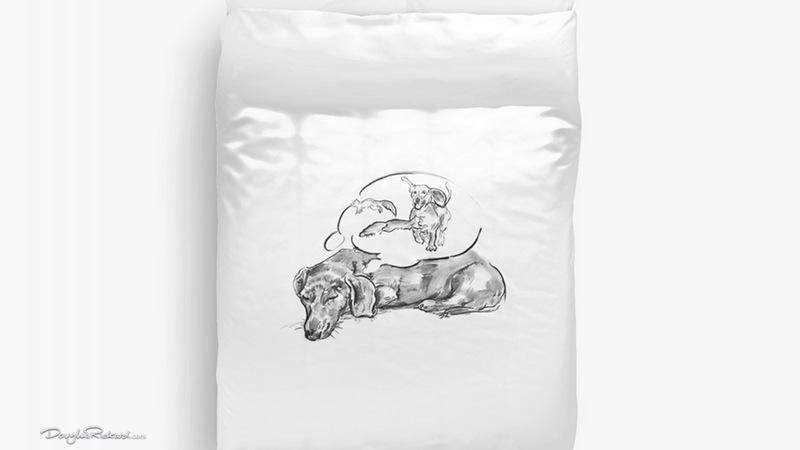 How perfect would that be for the bedroom, or even better for around your dachshund bed themselves, hilarious or what? 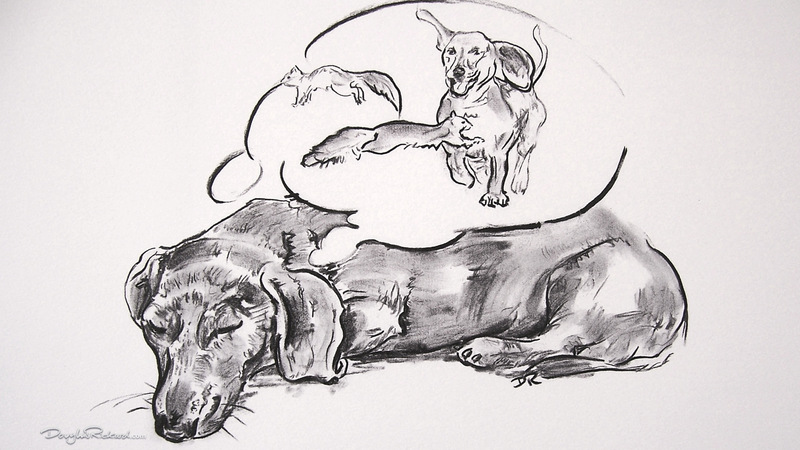 Dachshund feet may be little, but they run fast, sometimes even in their sleep, but what is it that Doxies are dreaming about in those Wiener dreams? Even if it rains this summer, there’re delicious cakes and drinks inside Chorak 122-122A High Rd, East Finchley, London N2 9ED. Even my pink dog art looks scrumptious! “It Sparkles – Summer ‘12 – Douglas Rickard Exhibition” starts today and runs through June 29th 2012. Would you like a cherry with your raspberry Dachshund? Visit the Facebook Event Page! Delicious cakes and drinks inside Chorak, East Finchley, London. 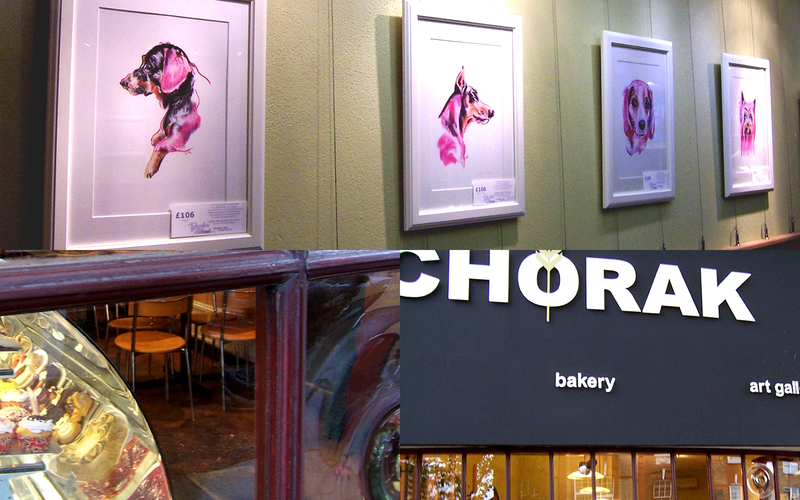 Even Douglas Rickard’s pink dog art looks scrumptious. A cherry with your raspberry Dachshund perhaps.